Amazon.com published a list of “100 Books to Read in a Lifetime”. We tear that list apart to see what’s there, what’s missing and what will make your eyeballs pop out of your head. As you might have guessed, the title is slightly inaccurate. Amazon.com actually would love you to read every book in the world, as long as you buy them there. But Amazon did publish a list of 100 Books to Read in a Lifetime: “A bucket list of books to create a well-read life, from the Amazon Book Editors”. And that list did leave off a lot of very important books that some people would be upset to see missing. To be fair, every list like this is subjective. On what basis do you decide a book should be on the list? That is always open to debate. So let’s have a little fun and debate. Anomalies in Amazon’s list that might have a lot of puzzled people scratching their heads. The top 10 books that Amazon should be spanked for leaving off its list – shame on Amazon (in next week’s post). Another 90 books that Amazon should also have considered for its list, but we won’t spank them for leaving them off, because it is hard to cram 200 books into a top-100 list (in next week’s post). Anomalies in Amazon’s list that might leave a lot of puzzled people scratching their heads. Let’s begin by acknowledging that there are some books that would be on any English-language list of top 100 books to read – books that have transcended the world of literature and infused themselves in social discourse of ethics, society and mankind’s future. Examples of this are The Diary of Ann Frank and George Orwell’s 1984 . Most people would also agree that Stephen Hawkings’ A Brief History of Time and Man’s Search for Meaning should be there, as well as Alice in Wonderland by Lewis Carrol and The Sun Also Rises by Ernest Hemingway. One thing that we quickly notice is that only one book from any series is mentioned. This is the case with Harry Potter, Hunger Games, The Lord of the Rings, A Series of Unfortunate Events and His Dark Materials. Does this mean that Amazon doesn’t want us to read any complete series? I doubt that. I suspect that Amazon was trying to fit as much variety as possible into the Top 100, and these five series would would consume a quarter of the spots between them. So, as much as it pains me to see so many books from these series missing, I support the decision to leave them off. And yet, it is with more than passing shock that we must note the total absence of the world’s greatest author, the most quoted man in the English language, the biggest-selling author of all time, The Bard. Let that sink in for a minute; Amazon.com does not include a single Shakespeare book on its list of top 100 books to read in a lifetime. Nor does Amazon include any works by the second or third biggest-selling authors of all time, Agatha Christie and Barbara Cartland. Nor the most quoted American Author, Mark Twain. Nor Oscar Wilde. The Brothers Grimm, Aesop and Hans Christian Anderson, the authors of the best known fairy tales and fables that have come down through the ages (including Cinderella, Snow White, The Ugly Duckling, Little Red Riding Hood, The Emperor’s New Clothes, The Little Mermaid, Hansel and Gretel, The Princess and the Pea, and Sleeping Beauty) and shaped society’s concepts of love, happiness and so much more. 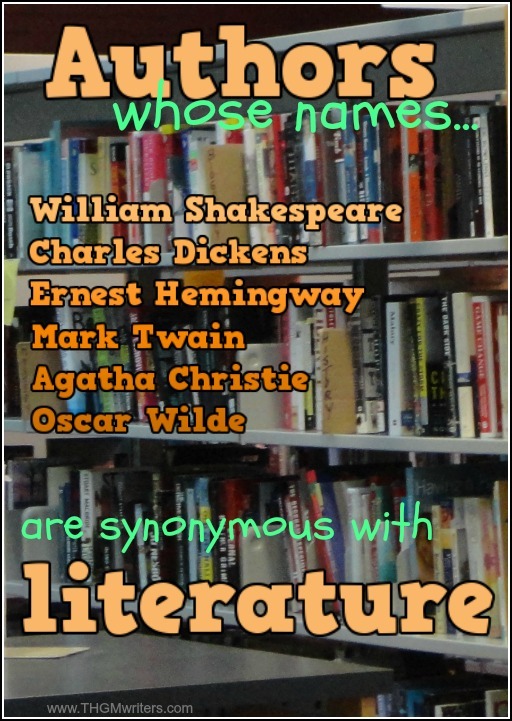 The biggest superstar author who is included is Charles Dickens. But he is included for Great Expectations, a very strange choice given some of his other works, as I will discuss in the next section. There are some other inclusions that might strike you as odd. One is to include children’s books. By the time a person is old enough to read the list, they have pretty much passed the stage for reading children’s books. On the other hand, they can pick these books to read to their children. So I actually like the idea of having some children’s books included, and The Phantom Toll Booth is an excellent choice. More debatable, is the inclusion of Goodnight Moon, The Hungry Caterpillar, Diary of a Wimpy Kid and Where the Wild Things Are. They were all big sellers, but nothing to make them stand out above so many other wonderful books. Certainly Dr. Seuss and Robert Munsch have written much more interesting children’s books that are much more talked about, and the works of Hans Christian Anderson and the Brothers Grimm are more important to society. I offer a few alternatives in the final section of this article. A final noticeable absence is any book of scripture. No Holy Bible. No Talmud. No Quran. Yes, religion is touchy, but it is important to read the holy books of the major religions, for at least three reasons. The Christian Bible forms the basis for Western morality. Even if you are an atheist or subscribe to a different religion, your society is built on the teachings of a Jewish carpenter’s son who lived just 2000 years ago. It is worth understanding where our social norms come from. Most people have no idea what is in the very holy scriptures they subscribe to. We see this every time somebody kills, rapes or plunders in the name of Allah, shocking those Muslims who know God to be good. Christianity has had its share of people doing most un-Christian things in the name of God. Most people only know the parts of scriptures that are read out loud at a religious service. It pays to read the complete texts and find out what you really believe in (you might be surprised). Cultures are mixing and mingling more than ever before. Should we allow sound bites from the news media to frame our understandings of the religious motivations behind huge events in global politics? It is worth understanding our neighbors better than that. As valuable as it might be to read the holy books of several religions, it gets tricky to pick which books without offending people. This comes down to a personal choice. For that reason, well, you’ll see what I do in the final section. But I will NOT entertain any comments debating the inclusion of scriptures in this list. This is a place to debate books, not religion. This post continues next week. I think leaving Ender’s Game from Orson Scott Card. I think it can be argued that it is a key piece of science fiction literature. Regardless of what you think of his personal politics, the book deserved to be included. Great article as always! Shared and tweeted!